I'd like to introduce you to Rank & Style, a new platform that allows you (through web & mobile) to simplify how women shop via unbiased, data-driven lists of the best beauty & fashion around. Their top ten lists are created utilizing an algorithm that methodically researches and aggregates data (for example: reviews, bestseller lists, editorial recommendations and expert product reviews) from the most popular and relevant department stores, boutiques, fashion blogs and style magazines. 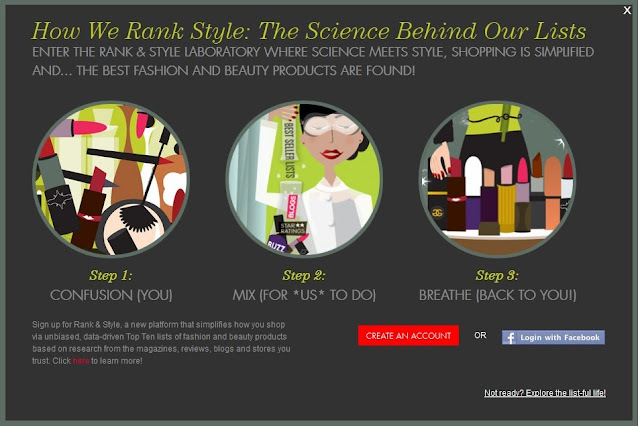 Rank & Style is on a mission to simplify and revolutionize shopping. Rank & Style can change the way you shop! Imagine countless Top-10 lists of the most amazing shoes, clothes, hair tools, cosmetics, etc. -- right at your fingertips. 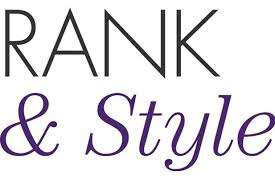 Rank & Style does all of this to give you an easier, faster, and more efficient way to shop. Let's break it down, shall we? Each list contains 10 items. Each item on that list has a picture, a small product description, reasons why that item made the list, the price, and where you can buy it. You can also Tweet, Like, Pin, or add that item to your favorites right on Rank & Style. Sometimes it's difficult to find what you want. It seems like there's so much thrown at you...friends' opinions, style magazines, user reviews, fashion blogs...that sometimes it's overwhelming. That's the main reason I enjoy Rank & Style - the simplicity. 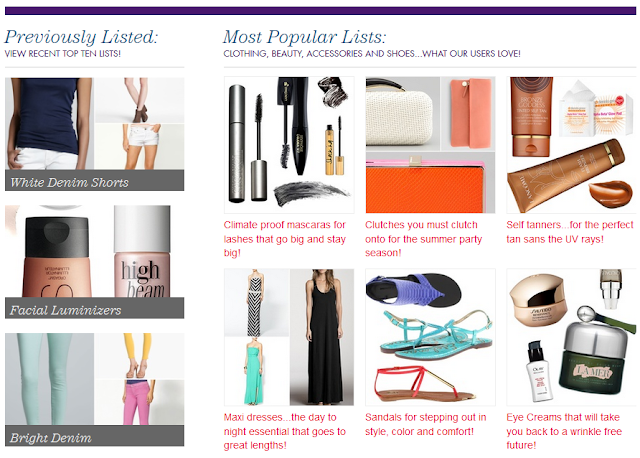 Click a list and right there on your screen are carefully curated items that are loved by many. They even show you what lists have been popular recently and which are trending right now. Sign-up is simple and easy. You can either log-in with Facebook or create and account with your email address. From there it's just deciding which list to look at first!